Thanks for your patience. I am currently working on photographing pieces from the last kiln load for an update. I’ll be sending out an email to the list shortly. 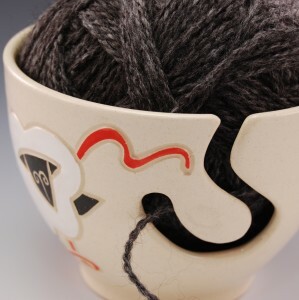 This entry was posted in Uncategorized and tagged jenniethepotter, update, yarnbowl on July 5, 2010 by Jennie. I browsed my way to you through Knitty.com. Your things look great and I will have to buy something from your collection when I get some spare $$$. My birthday is in September, so I usually get myself a little gift. I’ll be back! Then yarnbowl and mugs look awesome. I love your yarn bowl. What are the chances of you making one with an Alpaca instead of a sheep? If you did that I’d buy a few of them. for it, pls keep me in mind! Lovely lovely!